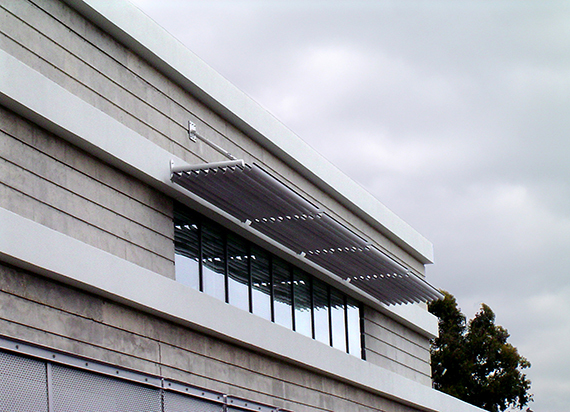 Aero Series - (Aluminum Sunscreens) Santa Monica Library - M055 - B&C Awnings Inc. 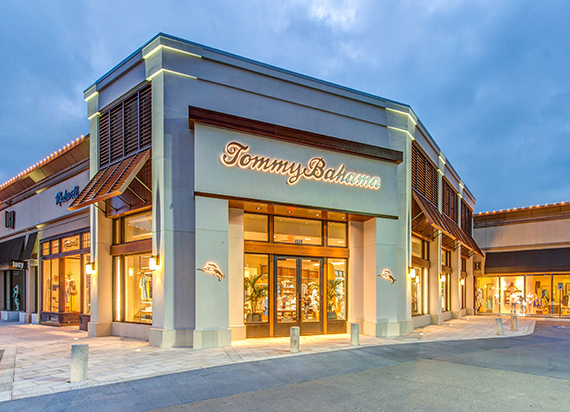 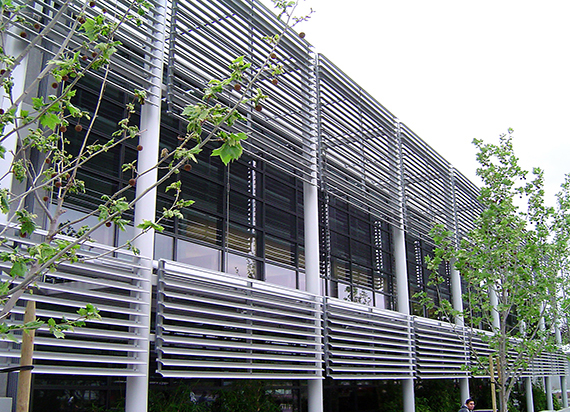 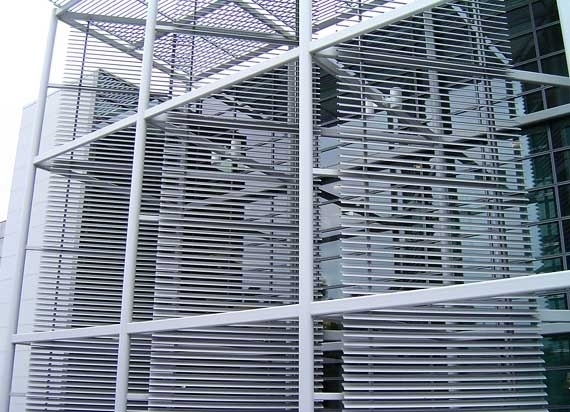 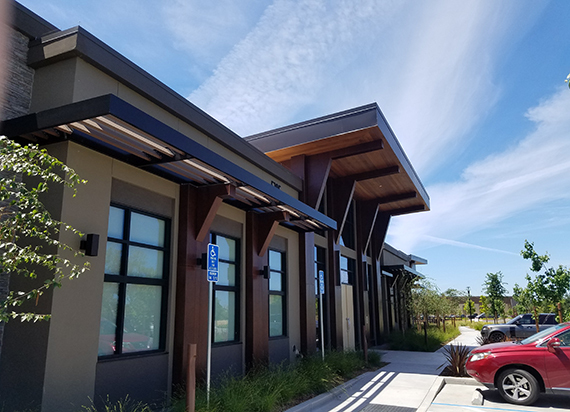 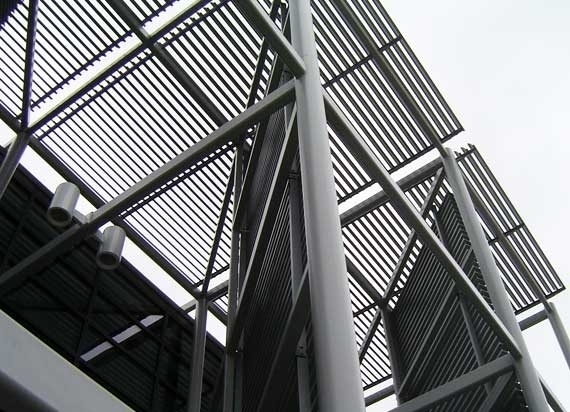 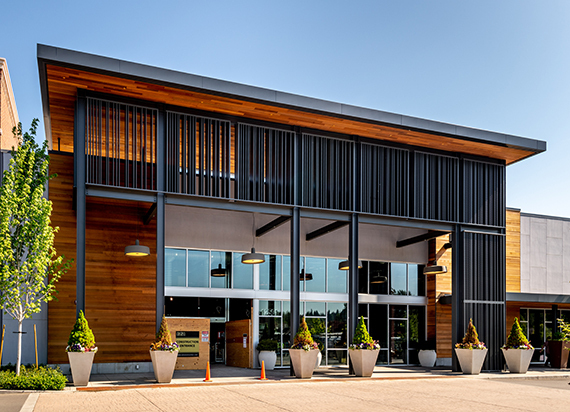 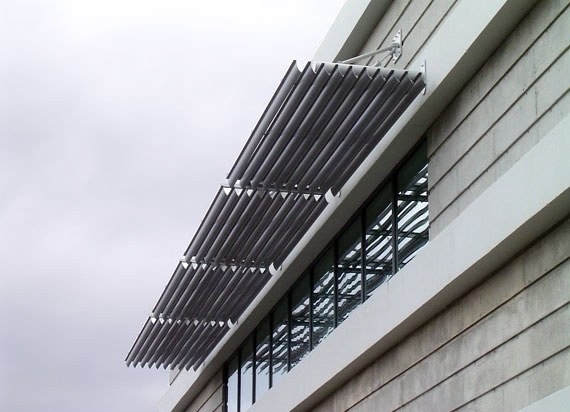 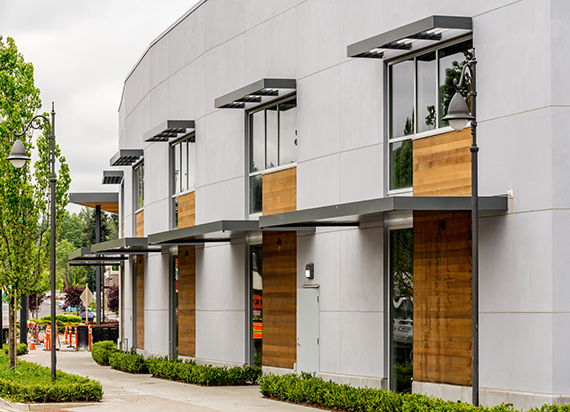 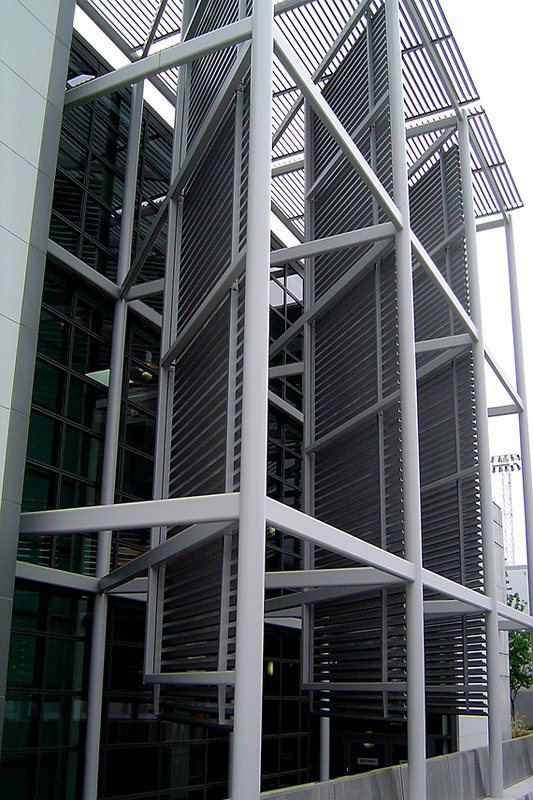 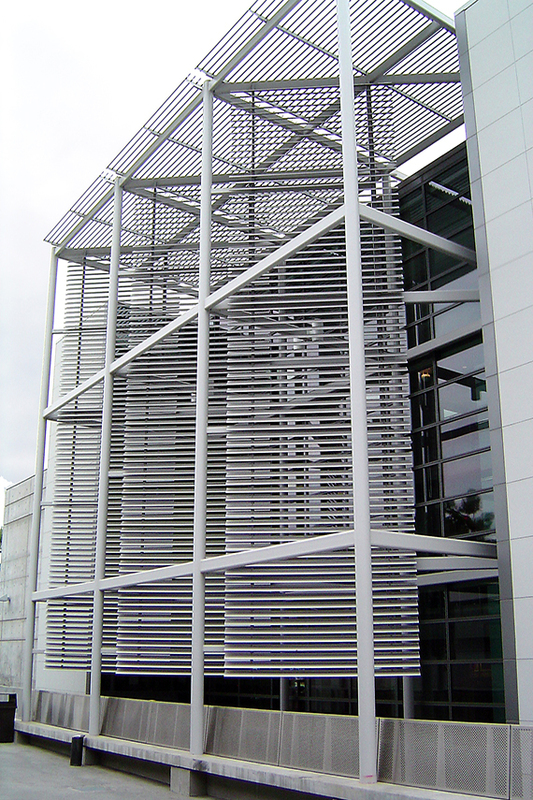 The AERO SERIES shown here consists of vertical and horizontal extruded custom shaped louvers supported on horizontal tubes and vertical column tube and simple angled aluminum. 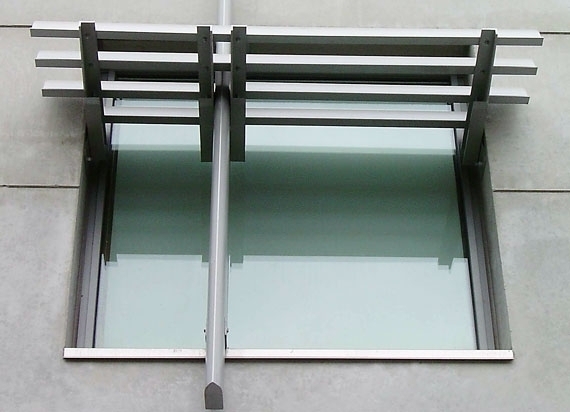 Weight: +/- 5 lbs / per sq.ft.